HOW ABOUT AN AERIAL LIFT? WELCOME TO MID ATLANTIC INDUSTRIAL EQUIPMENT LTD. 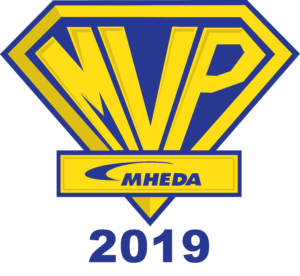 Mid Atlantic Industrial Equipment has earned the 2019 MVP Award for outstanding achievements in 2018! 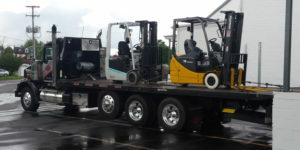 Read the latest in material handling news on Mid Atlantic's blog. Check back periodically for new information! The benefits of restoring a used industrial battery are much more cost effective than buying a new battery outright. Over time batteries accumulate sulfates which hinder the ability to charge and maintain a full charge. Through the regeneration process, sulfates are removed and batteries are able to hold a charge more efficiently. 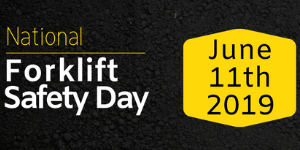 Forklift Safety Day is Tuesday June 11th. How will you, and your company pledge to stay safe this year?